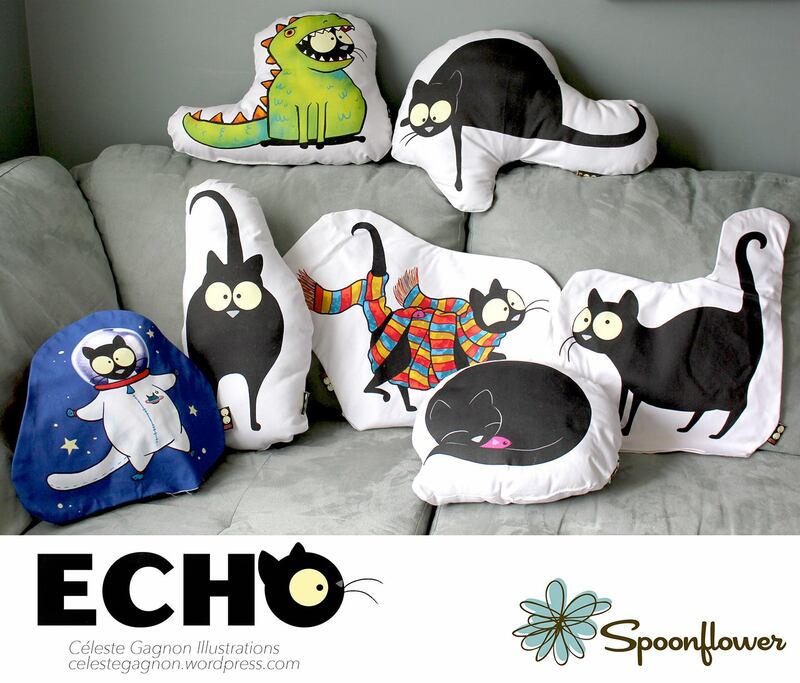 New Echo the Cat pillow/toy fabric patterns are available now at Spoonflower! Just in time for Christmas gift giving. It makes a great handmade present for the cat person in your life, or as seen below the cat who loves to snuggle. They are super easy to make (trust me I made a bunch and I am a beginner!). They are two sided and each Echo has mousie with her. The toy with Echo in her scarf has Mousie staying nice and warm wrapped up with her and Poe the raven comes with this one too. You can choose from a variety of different fabrics, in the above examples I used a heavy cotton twill, since I have children and wanted them to stand up to some tough love. 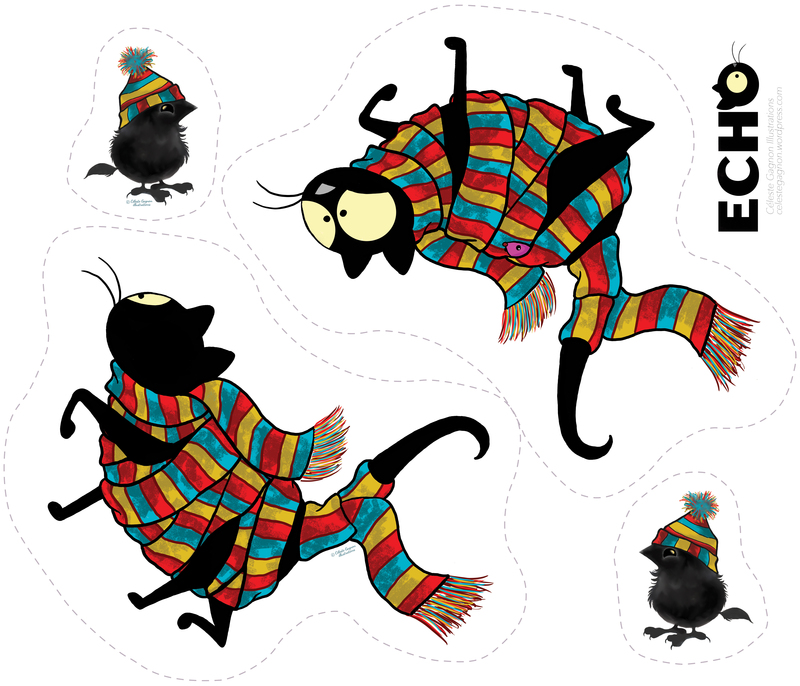 There are also other fabric patterns available on my page, Echo Playing Yarn seems to be a really big seller, I guess everyone can relate to the mischievousness of a cat and balls of yarn! And for the wildlife lovers in your family there is also the Canadian wildlife series, which can also be throw pillows or make nice cloth tote bags! 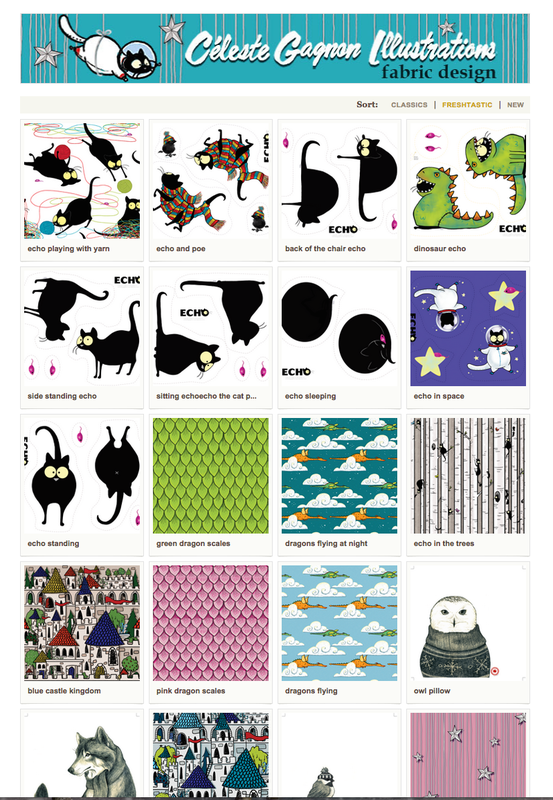 I have a bunch of new ideas for my fabric patterns and Echo the Cat. Hopefully (if time and work allows) I will get some new stuff up early 2015! 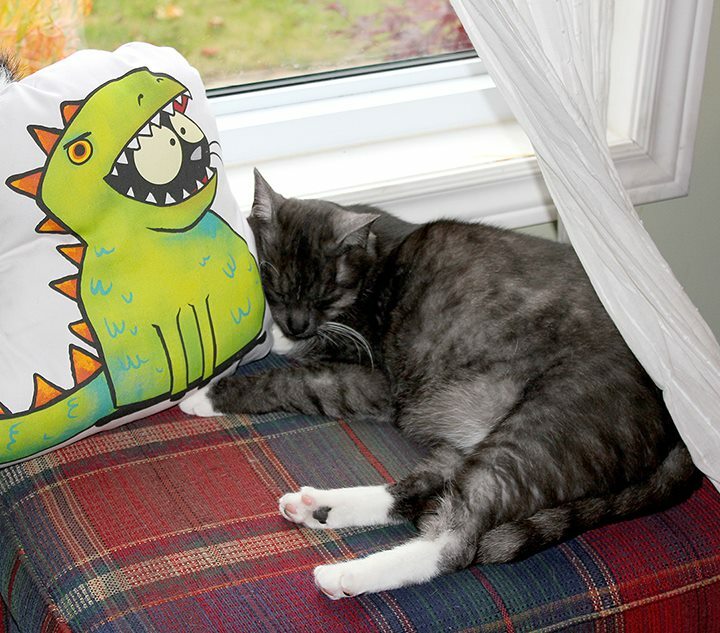 All fabric patterns and characters are copyright and belong to Celeste Gagnon. These are for personal use and gifts, not for selling please! Even more fabric choices here!